Lao and Chinese authorities have agreed to launch the Visit Laos-China Year 2019 programme following the Visit Laos Year 2018 campaign in an attempt to lure more foreign visitors to Laos. The number of foreign travellers has declined in recent years and tour operators say they and their customers have to deal with several annoying issues despite the government saying it will improve matters. An employee with SP Travel and Tour, Mr Jacky Yang, told Vientiane Times that among the problems they face are the high price of entry tickets at popular places such as the Khonphapheng waterfall and temples. Plane fares are also expensive and there have been complaints about poor service by immigration officials. Loud music is played at the night market and entertainment venues along the Song River in Vangvieng district, Vientiane province, and this sometimes disturbs visitors who go there hoping for peace and quiet, she added. “At some places in Vangvieng, visitors must pay a fee to cross a bridge to get to a particular site and there is also a fee for parking vehicles, to sit in a hut and even to rent a mat,” she added. The owner of the Phanthavong Tour Company, Mr Phet Phanthavong, said a company has to go through many procedures to complete documentation even though the authorities have promised to improve things and cut the number of procedures. He also said some tourist police did not cooperate with tour operators. 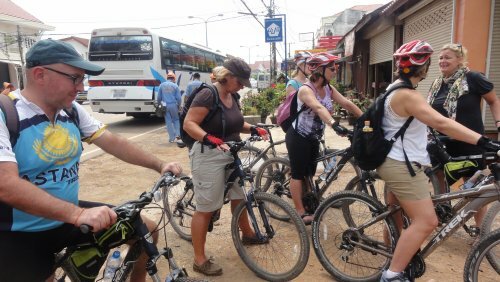 Tour operators also suggested that the authorities should have long-term plans to promote tourism. Government officials recently met business operators to discuss the latest developments and problems faced by the tourism industry. They also shared ideas on ways to improve services during the remainder of Visit Laos Year 2018.
Business operators suggested that immigration points should have posters stating the various charges for foreigners and Lao nationals, because some tourists using a new passport have to pay a high immigration fee. Another issue faced by the tourism industry is that in some provinces most business operators have a licence issued in the name of a Lao national, while the business is actually run by foreigners. Some of the issues raised at the meeting were responded to by the authorities, and the rest will be addressed in the future. More than 2.9 million people vacationed in Laos in the first nine months of this year, an increase of 3.2 percent over last year, according to the Tourism Development Department of the Ministry of Information, Culture and Tourism.